In her fifth solo exhibition at HEMPHILL, Stout addresses a progression of themes, first inviting the viewer into a “Room of Spirits” which sets the stage for there being a presence beyond the self. Stout then introduces devices designed as a mechanical means to transfer magic or captured energy from one source to another. The artist asks “do I have the ability, if I try hard enough, to tap into a universal energy that’s more enlightened?” Stout’s hand-built machines, utilizing wire, wood, paint, and a myriad of found items, are systems of the mind powered by spiritual energy. Stout urges the viewer to embrace and believe in the presence of spiritual energy, capably presenting the tools of her own creation through which it works. Stout believes in the power of objects to transmit knowledge. In creating a lifelong body of work that serves as evidence of existence, she shows the unfolding story of a modern culture that embodies everything that came before. Her work draws power from the struggle of forces – political, religious, intellectual – present at this moment in history. As a society we are “At the Crossroads” embroiled in a storm of conflicting viewpoints, social and economic inequality, and political and religious conflict. We are presented with daily news of tragic killings, mass shootings, and the destruction of cultural and societal heritage. Stout faces this Wild World head on, responding to anguish with compassion and the desire to move forward. Always questioning – do you see me? do you see yourself? – Stout commands the viewer to examine their choices and conjure the consequences. The Gallery will be closed from Thursday, November 26 to Saturday, November 28 in observance of the Thanksgiving Holiday. 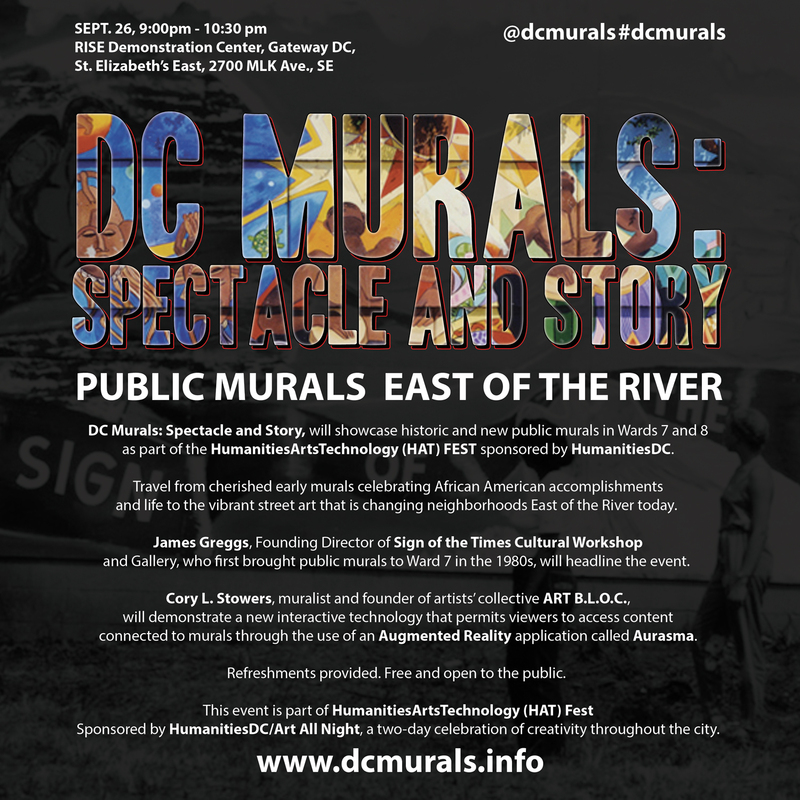 DC Murals: Spectacle and Story, will showcase historic and new public murals in Wards 7 and 8 as part of the HumanitiesArtsTechnology (HAT) FEST sponsored by HumanitiesDC on September 26. Meet the artists and travel from cherished early murals celebrating African American accomplishments and life to the vibrant street art that is changing neighborhoods East of the River today. 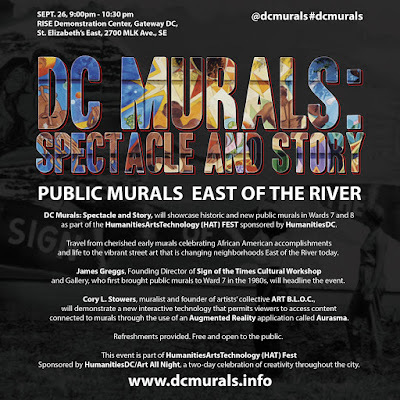 James Greggs, Founding Director of Sign of the Times Cultural Workshop and Gallery, will headline the program, and Cory Stowers, muralist and event moderator, will demonstrate a new interactive technology that permits viewers to access information about a mural through a free app. The event is part of Art All Night, a two-day celebration of creativity throughout the city. *Funding for these grants is provided by St. Elizabeths East, Government of the District of Columbia, and the Office of the Deputy Mayor for Planning & Economic Development. The HAT FEST at St. Elizabeths will be presented in the RISE Center. Additional funding for the HAT FEST at St. Elizabeths is provided by the National Endowment for the Humanities, the National Endowment for the Arts, and the Cafritz Foundation. The HAT FEST is presented by HumanitiesDC and THE ARC. Join a small team from Sotheby’s to discuss trends in the contemporary art market. Topics include: How to educate yourself as a new collector, Differences in primary and secondary markets, Bidding at auction, Global forces in the current market, Relationship between buying art and investing in art, Museums and the marketplace. Images: Top Row (left to right): Rachel Rotenberg, Jeffery Cooper, Foon Sham, Julia Bloom, Lynda Smith-Bugge, Evan Reed. Bottom row, left to right): Katie Dell Kaufman, David Fry, Ellen Hill, David Knopp, Hannah Wides, Lyndie Vantine, Phil Brown, Christian Benefiel. Meet 14 local artists and artisans who create sculptures and functional objects using wood. Enjoy light refreshments, and learn more about the techniques used to create the works you will see on display. "Native Species" features works by Foon Sham, Rachel Rotenberg, Julia Bloom, Evan Reed, Lynda Smith-Bugge, Christian Benefiel, Phil Brown, Katie Dell Kaufman, Jeffery Cooper, Ellen Hill, David Knopp, Lyndie Vantine, Hannah Wides, and David Fry. From fallen timbers, found limbs, reclaimed lumber, or repurposed items, they often combine various species of wood to build unique sculptural forms that manage to retain a connection to the source of their materials. Image: Chayo de Chevez, Gentle Winds, archival inkjet print, 22 x 24 inches. Printmaker Chayo de Chevez responds to both the global tide of human migration and the individual migration of each person. Using the imagery of water, land, graphs, and boats to denote the universality of movement as people leave their individual imprints on their often uncertain journey. Chevez, who has lived and worked in seven different cultures, is particularly moved by the phenomena of migration. *Galleries are open extended evening and weekend hours when performances and classes are offered. Galleries may be closed for special event rentals or installations of new exhibitions. Please call 301.528.2260 to confirm open hours before your visit. Free parking in lot located at the rear entrance of the building or in spaces along the street. Metro - Take Metro to Shady Grove (red line) and transfer to Ride-On Express Bus #100 (15-minute nonstop service) to Germantown Transportation Center. Walk four blocks to our front door, or transfer to Ride-On Bus Route 97. Visit metroopensdoors.com for more information. On September 19, 2015 the Beebe Medical Foundation, Rehoboth Art League, Village Improvement Center and http://www.9114HNC.org will host the Courage Unmasked Rehoboth Beach Gala. Courage Unmasked Rehoboth Beach (CURB) is a silent and live auction to raise money and awareness for head and neck cancer (HNC), on behalf of the 9114HNC Fund. The mission of the 9114HNC Fund, in addition to raising general awareness of head and neck cancers, is to provide direct assistance to HNC patients, who often find that insurance does not adequately cover their medical expenses. At the gala, dozens of plastic mesh radiation masks used to protect patients undergoing radiation therapy and transformed into unique and inspiring sculptures, will be auctioned off. All proceeds from the sale of the masks, as well as tickets to the event and corporate & individual sponsorships will support HNC patients and survivors at Beebe’s Tunnell Cancer Center and in Sussex County. The brainchild of artist and HNC survivor Cookie Kerxton, Courage Unmasked has granted over $150,000 in direct assistance to HNC patients in communities across the United States. “This event is truly making a difference in the HNC community, not only by raising awareness of the disease but by alleviating some of the additional financial difficulties facing too many HNC patients” said Kerxton. “The continued success of Courage Unmasked would not be possible without the generosity – and creativity – of our partners and artists, and we are especially grateful for the support of the Rehoboth and Bethany Beach communites this year. The collection of masks is currently on display at the Rehoboth Art League, but will soon join the more than 300 previously transformed sculptures on display in private homes, offices and medical centers nationwide. Tickets to the September 19th Gala at the Rehoboth Art League may be purchased online at www.courageunmasked.org, where images of the CURB masks are also available, or by calling 202-248-7159. 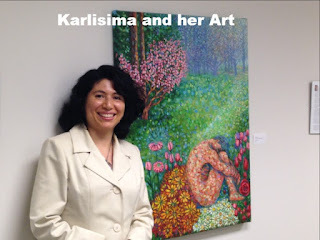 "Lord, The Garden of Eden,"
A Solo Art Show by Karlisima. September 15th to October 4th, 2015. The Salvadoran-American award-winning artist, Karlisima, is having a solo art exhibition, entitled, "Lord, the Garden of Eden." Her paintings capture her Mayan Heritage, as they are reminiscent of her childhood, spent in the luscious natural paradise of "Sonsonate," (which in the Mayan, Nahuatl, and native language means "400 rivers of water.") This is a rural town in El Salvador, where she spent unforgettable summers swimming at the river "Pescadito de Oro" ("The Little Golden Fish.") Her paintings depict the symbolic meaning of angels, shamans, and elements of Mother Nature, bringing her Catholic upbringing together with her Mayan beliefs. Trees are symbols of our connection with Mother Earth /Mother Nature and with the Land, as she gives us an ecological alert to "take care of Mother Nature." "We are one with the Land, and, thus, we must protect it, plant trees and recycle in order to save ourselves from self-destruction." Life Asset is a nonprofit organization that provides training and microloans to help launch and grow successful small businesses. We are pleased that our strategically located office in Adams Morgan can showcase products from some of our entrepreneurs. Our mission is to empower people through affordable financial products, services, and education, thereby promoting self-help and self-respect for lower-income residents in Washington, DC metropolitan area. We are also in the process of starting a credit union. For more information, please contact us at contactus@lifeasse.org, or by phone 202-709-0652, or visit us at www.lifeasset.org, or at 2448A 18th Street NW, Washington DC 20009. Montgomery College @ the King Street Gallery. Silver Spring, MD – Montgomery College’s Department of Visual and Performing Arts presents Edge Effects: Christine Howard Sandoval and Leah Raintree at the King Street Gallery. The exhibit opens September 14th. A reception will follow on September 24th from 6–8 p.m. Edge Effects exhibits site-based projects focusing on Colorado wildfires and Hurricane Sandy. Edge Effects explores the boundary between the human and wild. Sandoval and Raintree ground this in disaster-affected landscapes: southern Colorado after large-scale wildfires and New York City after Hurricane Sandy. Christine Howard Sandoval’s work in southern Colorado focuses on the impact of forest fires. She records her experiences through photography, drawing, sound recording, and sculptures. Central to her piece is a large-scale wall drawing made with charred pieces of tree limbs from southern Colorado. Leah Raintree’s work focuses on low-lying areas of New York City following Hurricane Sandy. 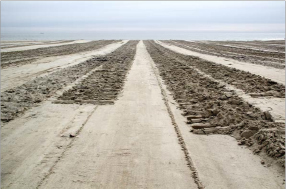 Her photographs and drawings document the overlap of natural and manmade forces in densely populated coastal areas. Edge Effects runs September 14–October 15, 2015 at the King Street Gallery. A reception will be held Thursday, September 24th from 6–8 p.m. The event is located at the Morris and Gwendolyn Cafritz Foundation Arts Center. 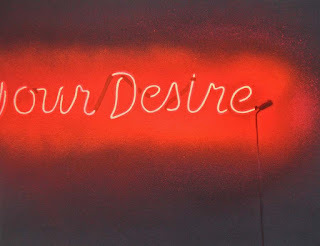 For more information, visit http://cms.montgomerycollege.edu/arts-tpss/exhibitions/. Free and open to the public. The King Street Gallery’s exhibitions compliment the academic programs of the Department of Visual and Performing Arts while bringing art to the community. As part of the Silver Spring arts community, exhibitions focus on current pieces by working artists. The gallery is on the ground floor of The Morris and Gwendolyn Cafritz Foundation Arts Center on the west side of the Takoma Park/Silver Spring Campus. The center is located off of Georgia Avenue at 930 King Street. Parking is available in the West Campus Garage, located immediately behind the center.